The Kaizen Collision Center team has been serving Arizona and California’s automotive needs for years on a mission to provide the best repairs for our customers, insurance partners, and fleet companies. The Kaizen Collision Center team has been serving Arizona's automotive needs for years on a mission to provide the best repairs for our customers, insurance partners, and fleet companies. We offer high quality customer service and a worry-free experience bacause we understand your situation is not ideal. You don’t always need to be in an accident to visit a body shop. Do you have small dents and scratches that you would like to have repaired? Stop by one of our locations and speak to an expert! Along with paint and bodywork, Kaizen specializes in fixing issues related to your windows, mirrors, and dashboard. Getting your car's glass fixed is important in order to maintain the safety of your vehicle, so stop by Kaizen today! Kaizen Collision Center was founded on a core principle and that was to serve the customer. 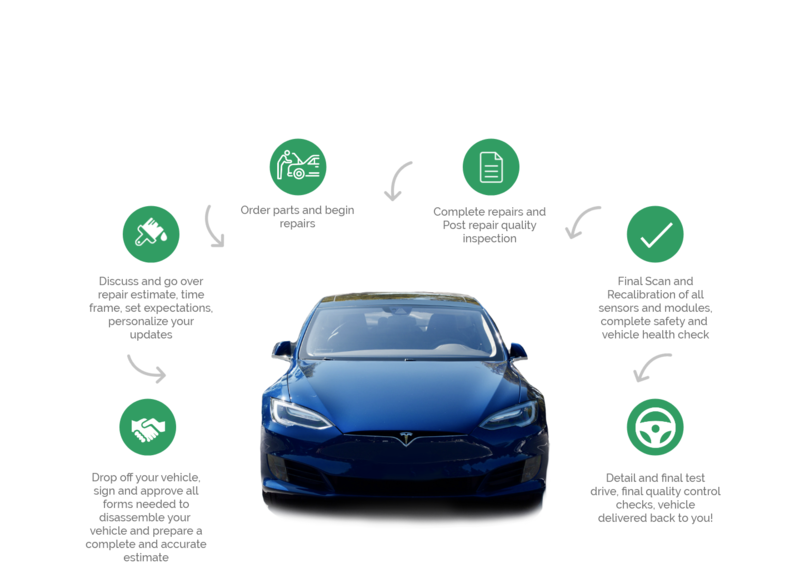 Some may say serving the customer with an automotive need is simple, repair the problem and you have done your job. Here at Kaizen Collision Center serving our customers goes so much further than the part where we actually repair your vehicle. Providing shuttle services, daily updates, personalized care, and superior customer service is some of the way we separate from other shops. We have a unique process that really gets down to the nuts and bolts of the repair process not just what you can see on the surface. It has always and will always be my goal to be the solution for our customer’s needs. With each customer, we always try to find a way to make the repair memorable in a great way by doing that “little bit extra” that did not need to be done. Our Kaizen Collision Center team is composed of hardworking and professional individuals with a passion for all things automotive. We believe that excellent auto body shop services begin with an excellent team, which is why we work hard to foster an environment that our team loves to work in. Our teams of bodywork experts not only love to provide professional automotive services, but also superior customer service. When you bring your car to Kaizen Collision Center, you know you’ll be treated like family by our team. If you’re interested in joining the Kaizen family, contact us or stop by one of our locations today! We’re always looking for individuals who are interested in professional bodywork to add to our team. Talented people with a hardworking attitude are what makes Kaizen Collision Center the best body shop around. 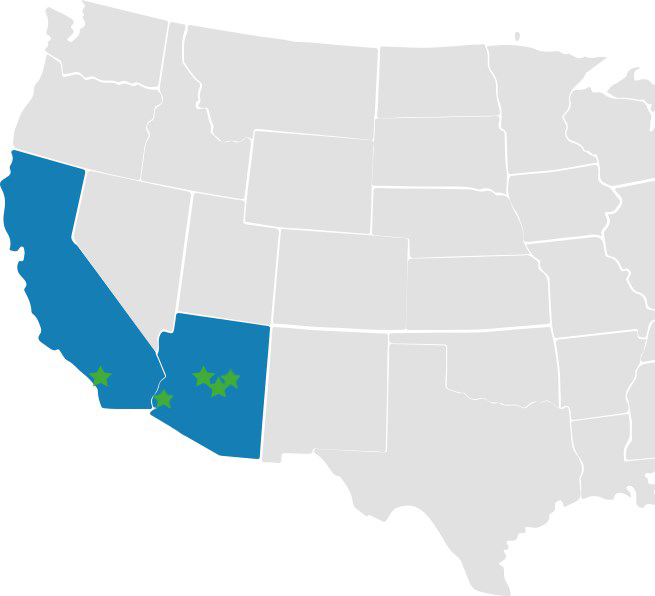 Kaizen Collision Center is proud to serve the following cities with expert auto body care. Each of our auto body shop locations in Yuma, Phoenix, San Diego, and Gilbert are staffed with trained professionals who are committed to providing you with high quality auto repairs and diagnostics. If you're looking for an affordable and friendly auto body shop, visit one of our locations! For more information on the services we provide at each of our locations, feel free to contact us!